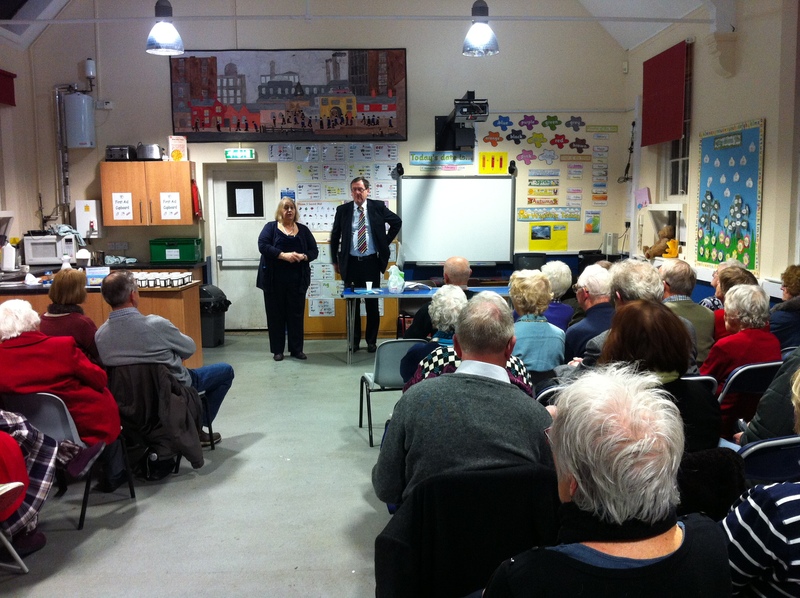 at John Clifford School for their open meeting, 14th February 2014. Despite having a dreadful cold he entertained us with a talk following the loose theme of ‘words’, which gave attendees insights into his history at BBC Look East, Pebble Mill and BBC Westminster before settling at BBC East Midlands in 1997. He spoke with enthusiasm about his fascination with politics and read from Damian McBride’s memories which included a less than savoury description of politicians. There followed some observations about the weight of words in small soundbites which describe complex situations. The talk continued to cover the rise of social media in under 35s and the increasing appetite for regional and city level news. Both interesting points for the Society to muse on as they develop their website and new methods of communication with existing and potential members. Look out for our other informative and fascinating talks – open to the public for a small fee, and members for free.